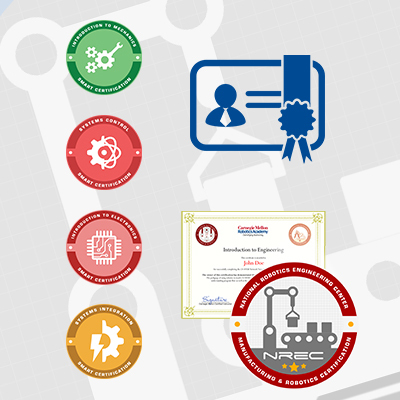 The SMART project works with industry to create micro-certifications designed to foreground industry recognized knowledge, skills, and attributes. The goal of this pre-apprenticeship program is to develop a pipeline of industry certified workers ready to enter internships, apprenticeship programs, certificate and associate degree programs, and in some cases begin employment. 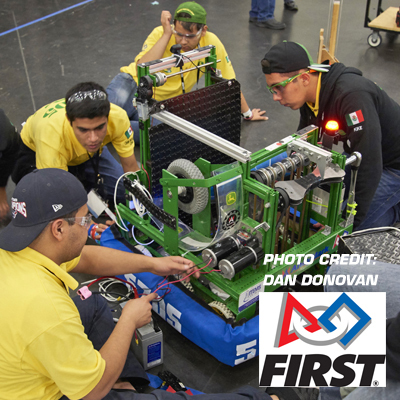 Robotics Principles – Understanding systems, and subsystems and how the different components communicate with each other. Electrical Foundations – Electronics concepts: wiring, series & parallel circuits, switches, crimping, and troubleshooting with a multimeter. Mechanical Foundations – Mechanics of things like Grippers, specifications, torque, and how much load a motor or servo can handle. 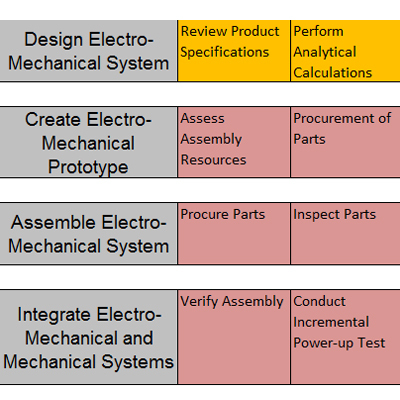 Software Foundations – Programming aspect of advanced manufacturing. Being able to program movement, sensing, and program flow. Fabrication Foundations – Identifying tools, materials, joining materials together, drilling, and additive processes like 3D printing. 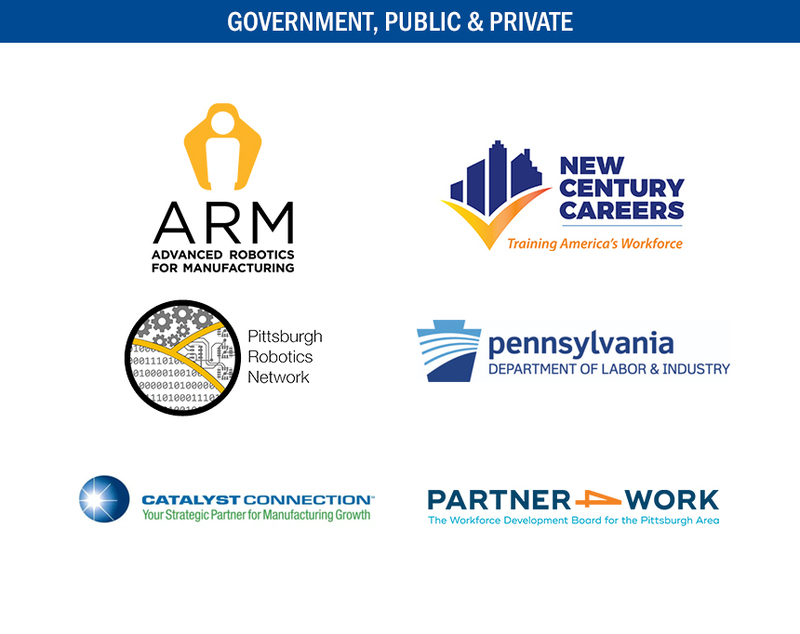 The training of the SMART micro-certifications is being implemented with the help of the PA Department of Labor (DoL) and funding through Partner4Work. The training is being carried out with local leaders of community organizations. Site visits to local robotics and advanced manufacturing companies help us expose underserved community youth to this career path. Some companies are also working with us to create the KSA lists. Local community colleges are working with our team to create articulation agreements to award credits for students who complete the SMART micro-certification courses. See the SMART-ER program for more information. The Grable Foundation has graciously awarded CMRA with additional funding to expand the training and certification offerings to more regional community organizations. The funding extends and expands the SMART-ER project training. 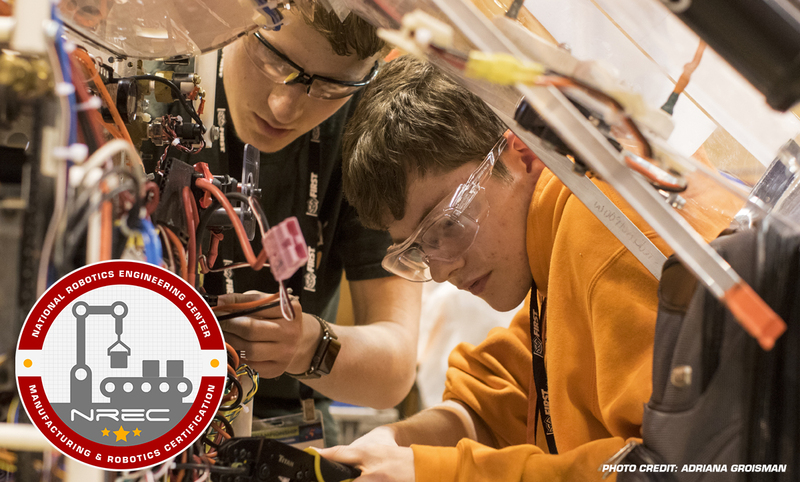 The project works with industry partners to gather data, develop assessments, and review and update training materials, classroom curricula, and competition activities. 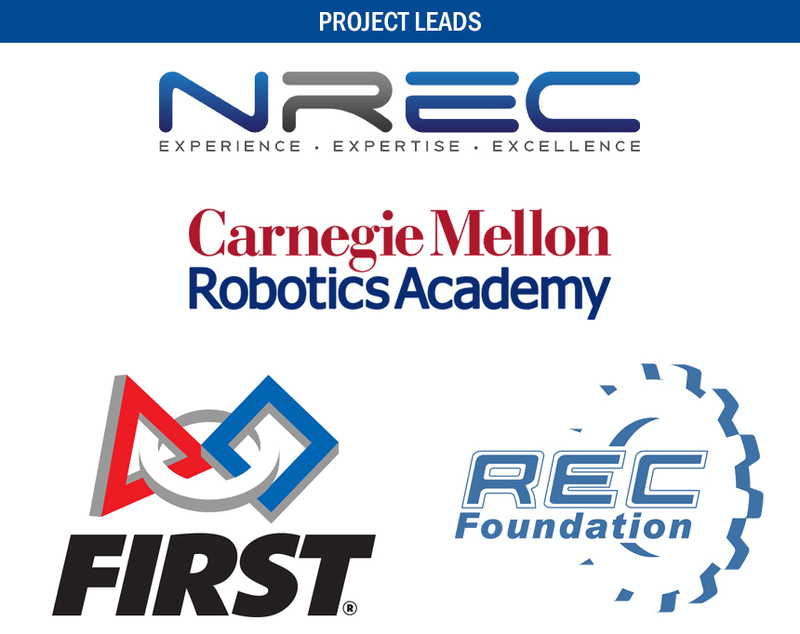 This project is a partnership between FIRST Robotics, Carnegie Mellon University, and Industry partners. 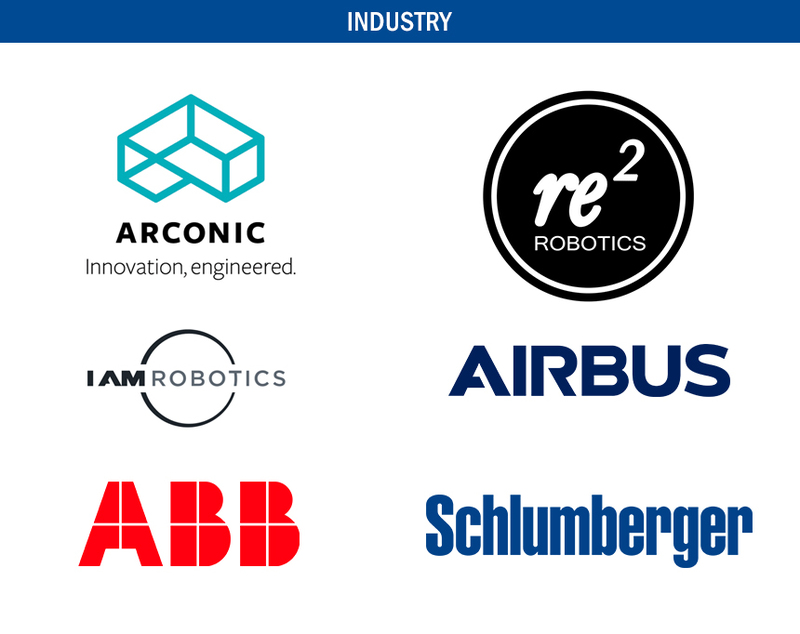 Participants in the project have the opportunity to earn micro-certifications that lead to industry-recognized certifications. 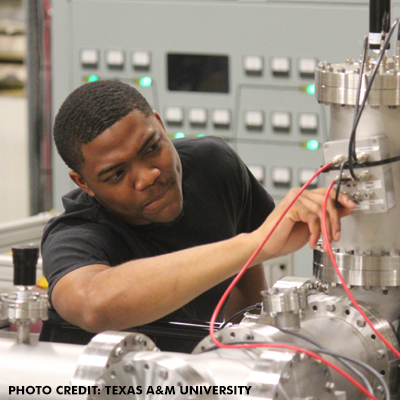 SMART works with Community College partners to develop next-generation ARM training materials.